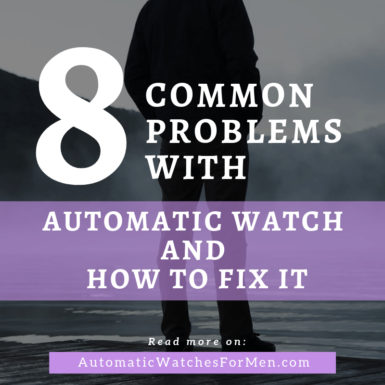 Problems With Your Automatic Watch? What’s The Cause And How To Solve It? If you are unlucky, you might encounter some problems with your automatic or mechanical watches. Depending on the severity, the steps to correct it will differ. Some of them can be severe that require a full service while some of the minor problems can be resolved by yourselves. 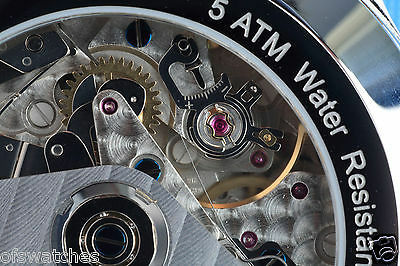 Here, I’ve listed some of the common problems with automatic watches, what causes these problems and how to solve them. Ever having problem with your watch stopped working while wearing it? If its a quartz watch then most probably the battery is dead but automatic watches don’t have any battery and supposed to be powered by your movement right? Something that most people don’t know it the watch might not have enough power reserve even though you are wearing it regularly. But aren’t automatic watches are recharged by wrist movement? The reason is because you are not active enough to wind the mainspring fully. Try this: take a watch with an exhibition caseback and shake it to see whether the self-winding rotor rotates or not. It is easy for the rotor to moves? 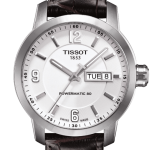 Some watches can have a very smooth rotor that rotates lively even with a slight movement. But some watches have rotor that requires more effort for it to rotate. Due to this, just wearing your automatic watch to office might not be enough to wind it fully. Consider wearing your watch when you are jogging, swimming or going to gym (if your watch is a sports watch. Don’t do this with a dress watch though. You don’t want to scratch that pretty thing lol). Another method that I like and personally use is to manually wind your watch once a while. This will make sure the watch has full power reserve as just wearing it might not be able to recharge it fully. Just be careful to not over-wind it or wind it too often as you might break the delicate parts inside. Exposing your watch to strong magnets such as in speakers, fridges, etc will magnetized the steels inside your watch. The small steel components inside your watch will tend to stick to each other or repelling each other (depending on the pole) and reducing accuracy of the watch (the watch will run slower or faster). But for extreme case of magnetization, the watch will completely stop. Bring you watch to a watch maker to check for magnetization and then demagnetize the watch. If your watch still stops even though you wind it everyday and no magnetization is known, then there could be a serious issue with your watch’s movement. Bring the watch to a watch maker and let him check the watch for any problem and servicing. If the watch is still under warranty, you can bring it to the seller for inspection or replacement. Bear in mind that full servicing can cost some money depending on the watch make and severity. Popular and affordable movements such as Swatch ETA, Seiko and Orient movements are easier to be serviced by just about any competent watchmaker. Costs of parts are also cheaper for these. You wear your watch for some time, then put it off and when you want to wear it back, it is dead? How could this happen? The reasons for this to happen are exactly the same as the first problem above i.e lack of power reserve (you can refer above for its causes and solutions). Another thing to note is the power reserve of you watch. Even though your watch’s movement might have 40 or 50 hours of power reserve, the watch might stop working even before that. One thing that we need to know is the power reserve of any automatic is the time for the watch to stop working after it’s been recharged to full capacity. As I’ve stated above, usually, wearing it for a day (normal 10 to 12 hours on the wrist) will not be enough to charge the watch to full. Not to mention most watches don’t have power reserve indicator which can be a huge help in telling the power reserve capacity at any moment. In fact, most experience owners state that the remaining power reserve of the watch is about 2 or 3 times the last duration we wear it. So for example, if I’m wearing my watch for 12 working hours today, it will tick for 24 to 36 hours after I put it down. For me, I’ve always manual/hand-wind my auto watches before I use them. A few turns (15-20) is enough to start the movement and then I just wear it. The key is to NOT only depend on the self-winding of the movement. As mentioned above, the rotor movement might not be sufficient especially if you’re working a desk job without many wrist movements. In addition, this will keep the accuracy high as the watch has more juice in it. What if I’ve tried that but it didn’t work! Then there could be a bigger problem in the watch. Try to handwind it for 40-50 crown rotations and lay the watch down. This will make the mainspring full of power reserve. Keep record of what elapsed hour the watch stops. If it’s less than the published power reserve for that movement, there could be a problem with the movement itself. At this point, we should bring it to a watchmaker for him to have a look at it. Depending on the case, we might only need a servicing, cleaning, or a change of the mainspring. 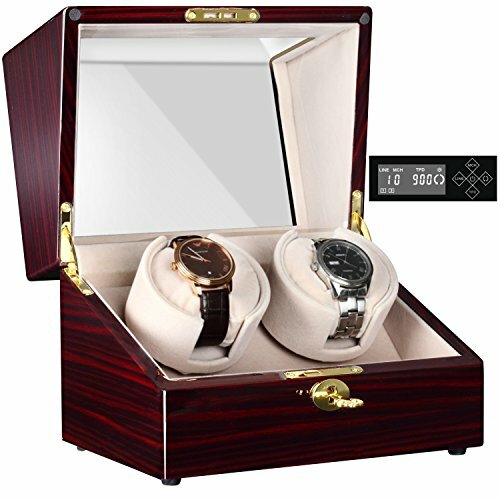 By the way, it might also be a good idea to invest in a watch winder which is a great alternative for those that don’t want to have to reset or handwind their watches before they use it. The watch winder functions by rotating the watch via a motor. Just place the watch inside the winder’s slot and plug it in. It will then rotate the watch, and the self-winding rotor inside it to charge the power reserve. The watch winder is a great way to ensure the power reserve is still full without us having to do anything. It also prevent from issues due to winding (which can happen to some ETA movements). I like to also add that the Sistem51 movement by Swatch boasts a 90 hours power reserve. For those that don’t want to spend on a winder or just want a watch with great power reserve, you might want to check the Sistem51 watches. This cause is easier to understand. You drop the watch, it get into a sudden impact and suddenly it goes dead. Well chances are your watch might have some internal damage in it. The inside of an automatic or mechanical watch is made of hundreds of parts that work seamlessly to run the watch. These parts can be as small as 1 mm in thickness or diameter. Any sudden impact could put these parts out of place or worse, even break them. The part that are more prone to impact damage is the balance wheel. The pivot/staff of the wheel balance is a very critical part because it holds the weight of the balance wheel which is continuously moving at a high speed. Most damages due to impact is because of broken wheel balance pivot and/or its jewel. If your watch stopped working after dropping it, try hear if there is any sound in the watch to know whether your balance wheel is functioning or not. If your watch has exhibition caseback, you can just confirm this by looking directly at the balance wheel to spot anything wrong with it. The only solution is to bring the watch to a watch maker for a repair. Some shock protection system has been designed to protect automatic/mechanical watches from impact damage, specifically the jewel. 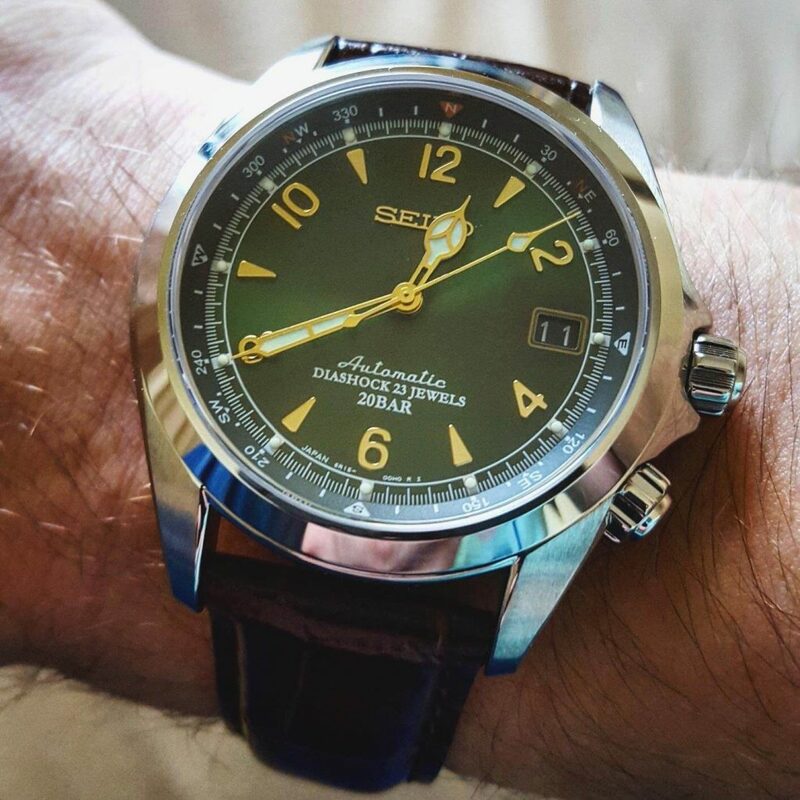 Incabloc (from Swiss), Diashock (Seiko) and Parashock (Citizen) are some of the shock protection systems that have been devised by watch companies. All of them have some sort of spring at the jewel pivot of the balance wheel to protect it from impact force. If you are a rough person that tends to get his watches damaged this way, you might wanna check out those watches with a shock protection system in them. Automatic and mechanical watches will always run slow or fast after some time. The most accurate watches are the COSC certified chronometers that can have a -4 or +6 seconds per day accuracy. Other watches can have a lesser accuracy than this and you have to check the official numbers by your watch manufacturer. But generally the accuracy values is within +/-25 seconds a day for a low end range of automatic watches. Accuracy of a movement is tracked at maximum power reserve, after a watch has been fully wound. If a watch is not fully wound (or power starved), then the accuracy will be slightly lesser than what your watch manufacturer advertised. Try to at least wind it once a while for it to have a full power reserve. You will notice a difference with the accuracy compared to when the watch just relied on wrist movement. Another important thing that most people don’t know is that your watch have different accuracy in different temperatures. Too hot (more than 38 degrees Celsius) or too cold (less than 15 degrees Celsius) will affect the metal parts inside the watch. Steel will expand at high temperature while contracting when it’s too cold. Coldness can also affect the lubricants inside the watch. Most of the times it’s the coldness that affect the accuracy since it will take a very high temperature to make a difference – not all of us live in scorching hot desert. But coldness especially during winter can change how the watch behave. It will run slower a bit if exposed to cold weather and might have shorten power reserve. But the effect of coldness will not be apparent if you are wearing the watch though as our body temperature will heat the watch up. Watch movements accuracy is highly affected by the balance wheel and escapement. These systems can be affected by the position of the watch due to gravity. Examples of watch positions is flat with dial/watch face looking up, dial down, vertical positions with different locations of crown. As you can suggest, the dial up or down is basically when you put the watch on a table/closet after wearing it during the day. The vertical positions are during wearing the watch. During each of these positions, the effect of gravity will cause the balance wheel to have a slight change in movement causing some inconsistency. Most watches are most accurate at one or two of these positions. When you put the watch at other positions, the accuracy will suffer. This is the main reason why chronometer is highly sought after – they are designed and adjusted to be accurate for all positions. My suggestion is to keep track of what position your watch is most accurate and what position it isn’t. You can use apps to help with this. Just search for watch accuracy in appstore/playstore. Normally these apps will have you set the watch to accurate time in the beginning and then you can record the time at intervals and it will report the accuracy in seconds per day. By doing this, you will know what position your watch is most accurate and use it consciously. As stated above, magnetism of watch can greatly reduce accuracy. It’s highly recommended to avoid placing your watch next to any digital or electronic devices to avoid magnetism. Just like a car, automatic and mechanical watches also need to be serviced after some time based on manufacturer’s recommendation. This is one of the biggest flaw of automatic watches versus quartz watches. Some watches especially dive watches has screw down crown for added protection. The dial window and caseback is easily guarded from water ingress by gasket and seals. Since the crown is used for manual winding and setting the time, it has a staff that is connected to the movement inside the watch. The small gap between the staff and the casing is the perfect place where water can get in. Screw down crown solves this problem by screwing the crown into the case, and eliminating any possible gaps between them. Shown above is the Seiko SKX009 with its crown unscrewed. 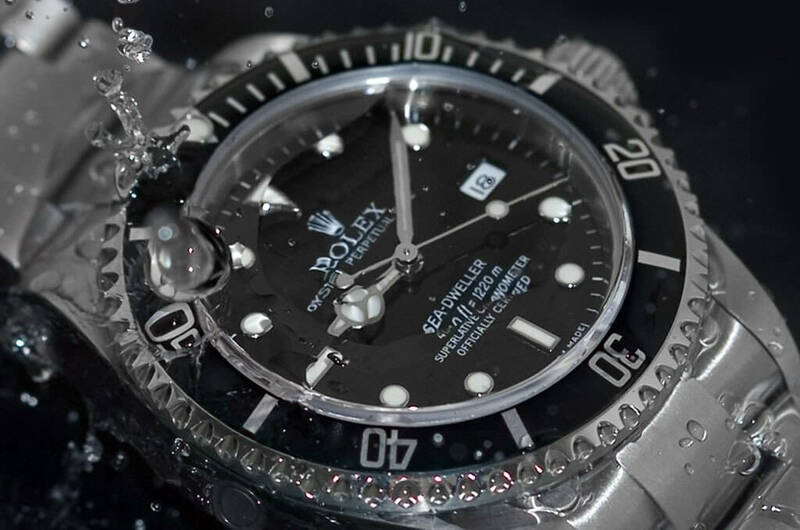 Remember that screw down crowns MUST ALWAYS be screwed properly at all times even when storing the watch – except when using the crown of course. But it has to be reminded that the screw down crown must always be screwed in tightly when you are using the watch for any activity especially swimming or diving. The crown must not be operated while underwater for, well.. the reason is obvious right. It is also recommended to get your dive watch to be tested for water resistance after a few years. It is worried that the gasket and seals of the watch has already worn out. If you are a serious diver, then it is very important to ensure your watch is always in perfect water resistance condition to avoid any unwanted problems. A common issue with automatic watches is the minute hand and second hand are not perfectly aligned. For example, when the second hand is at the 12 o’clock position, the minute hand is not perfectly on top of any minute marker. An example of how not setting the time correctly can cause the minute hand not sitting directly on the minute marker when the second hand is at 12 o’clock. By the way, there’s no problem with the watch and this can be fixed easily. This is caused by improper setting of the time when first bringing the watch from stop. To be honest, this does not mean there’s any problem with the watch. The watch is running fine but to people with a keen eye for detail, this is not acceptable. Personally, I also don’t like this, but not because it doesn’t look nice. For me, a watch need to be easy to tell and having a non-perfectly aligned minute hand makes the time telling unusual and weird. So what do I do to avoid this problem? I’ll stop the second hand exactly at the 12 o’clock position and then move the minute hand to be perfectly on top of the minute marker. 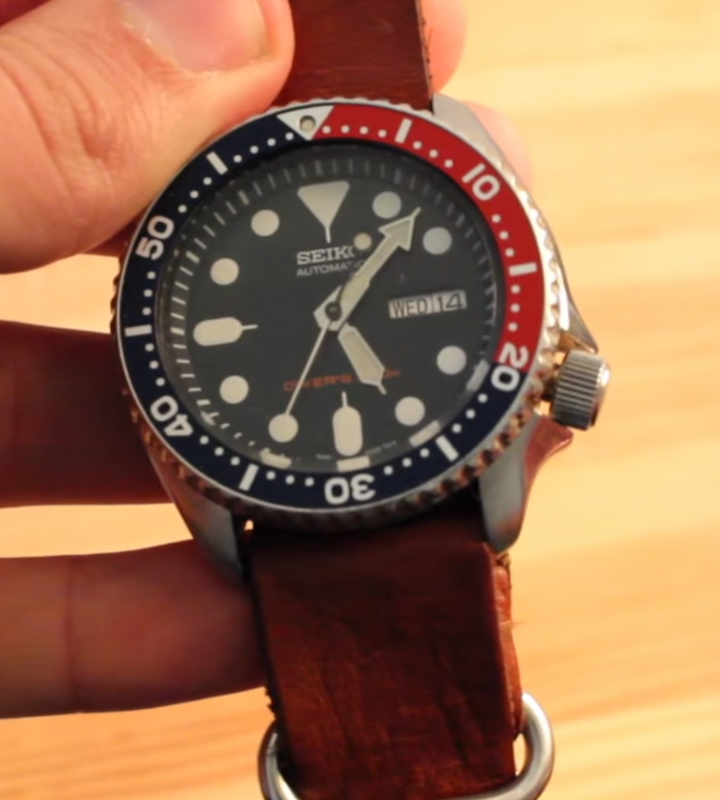 While this is easy to do with a hacking movement, it’s a bit more difficult with a non-hacking movement (such as the 7S26 inside Seiko’s SKX watches). For those movements, we need to be more precise as the second hand does not stop. So the moving of the minute hand need to be on-point when the second hand passes the 12 o’clock. If you feel there’s a problem with the hand-winding function, try to let the watch stop on its own. Then pick it up and give it some hand-winding. The watch should start after a few turn of winding the crown. If it isn’t, this means there’s a problem with the movement and a visit to your watchmaker is need to resolve it. A common issue that I’ve personally faced is the date and day indicator don’t change correctly. I’m sure those using analog watches with either one of this feature will experience the date/day suddenly change around noon. The only reason for this is incorrect setting of the day/date. We need to remember that automatic watch is not like an electronic watch. It does not know the current time (i.e am or pm). Which is why the day/date will simply change once the hour hand completes 2 rotations (or 24 hours). So what’s the correct way of setting the day and date display? When first picking up the watch, move the time until the hour hand is at 12:00. See if the day/date change or not. From there, you can set the time according to your current time. For example: if you move the hour hand to 12:00 > day/date change means the watch just enters AM mode > but you’re in the afternoon > move the hour hand a full rotation (12 hours) to enter PM mode > then set time and day/date. Change the date and day to ONE day before the current day. E.g if today is May 15 Sunday, then we need to change the date to 14 and the day to Saturday. Move the time needle to 12:00 and notice the change in date/day window. If there is no change, that means the watch’s internal time is in PM mode. Another rotation of the watch will change it into AM time of the current day. We can adjust accordingly from here. If the day/date change, it means the watch just enter today’s time in AM mode. Again, we need to adjust the watch accordingly. Automatic/mechanical watches are a delicate piece of engineering and should always be treated delicately. Not to mention they cost way more than normal quartz watches. So I’d put them as the fancy sports car – expensive but have to be properly taken care off lol! Thus, it is important for all automatic watch owners to know what can be done and what cannot be done to prevent from any unwanted and costly problems to their prized watches. Do let me know if you need any assistance with the problems above. I’ll try my best to help you out. I hope that you guys will find this post beneficial to you. Let me know if you have any comments or thoughts on this matter. Very thorough information about these self-wind watches! I want to thank you for that! The most helpful information I needed was to learn that you should not simply rely on the auto-wind aspect of the watch and it’s okay to manually wind it for maximum efficiency. I was under the obviously mistaken assumption that manually winding it was basically unnecessary and to do so would harm the watch, so I was hesitant to wanna do that. I bought a new rather inexpensive mechanical auto-wind watch, and I wear it every day for 10 hours a day, but when I put it down to go to bed, every morning when I wake up, it’s stopped! Giving it a little shake gets it going and changing the time makes things good to go, but I’m a retired guy, and I don’t move around as much as I used to I guess, so it may not get enough winding as I wear it during the day to last all night and still be working. I was trying to swing my arm for a couple of minutes before putting it down for the night, but it seems it still wants to stop after 8 or 10 hours of inactivity. Now I wind it at night 30 or 40 times and I can see the spring inside is tight, and in the morning it’s good to go, so I think this might be the routine I need every day! As long as manually winding is okay and this isn’t something that means I should return the thing because there’s something wrong with it, I’m good to go! Just wondering what you think about this! I never knew there are so many factors that affect a watch! Just wondering is these same thing will affect a normal watch? Hi Kit. Quartz watch don’t suffer from these issues as far as I know. While most quartz watches will be more resistant to impact, it also depends on the brand and how they manufacture the watches. I’ve owned a normal quartz watch that stop moving after a drop to the floor, presumably due to some of its gear fall off. But spend a little bit more and you’ll be getting a better quartz watch that can survive impacts that no automatics can handle. Another thing that can affect quartz watch is extreme temperature as it can cause problems with the electronics and the quartz timekeeping. This is a great informative post. It may sound silly but I didn’t know I could wind my watch. I have had problem #1 many times. And the double watch winder is a great idea. It’s not that expensive for me. And it will solve my problem. thank you so much for all of this info. It will come in very handy in the future. Hi Laura. I’m glad that the info helped you. Cheers! Hi Aaron. Your issue is very weird and unfortunately I never experience such issues. I think the only way is to bring the watch to other watchmakers that is willing to work on it as it’s not a normal watch with that day/night indicator. But try to find a cheap watchmaker and get the quotation before having him repair it as spending a lot of money to get the watch fixed might not worth it for a fake (just my 2 cents..). I have a question about the date function for an automatic watch. For my new watch I think that I changed the date after 8:00PM. The date didn’t change after midnight. However when I change time with the minute and hour hands the date changes around midnight if I wind the srew head. Is this a sign that my automatic date function still works or is this a separate proces? HI buddy. I think you’ve not set the internal AM/PM of the watch correctly. You can use the method I’ve included in Point No.8. The updated method seems to be easier to understand. Let me know if you still have problem. Ive got the watch collecting bug. After several years of having nothing but a G Shock to my name which was my go everywhere watch, I have started to build a collection of automatics and quartz watches. Just when I think I’ve got enough , I want one more 🙂 As my collection is new and to be honest, sufficient, should I let my head rule my heart? I am specifically thinking 3-5 years down the line when they may all require a service at the same time? What do you think? Ignore the servicing issue and crack on or stagger my purchases over years? Nothing I own has cost more than £400. Well Nigel, you’re not alone in this. To be honest, if you got the money, you can buy as much watch as you like. What I mean is if you’re earning above your expenses, buying a new watch is totally fine. But it’s a totally different case if you’re not earning much. 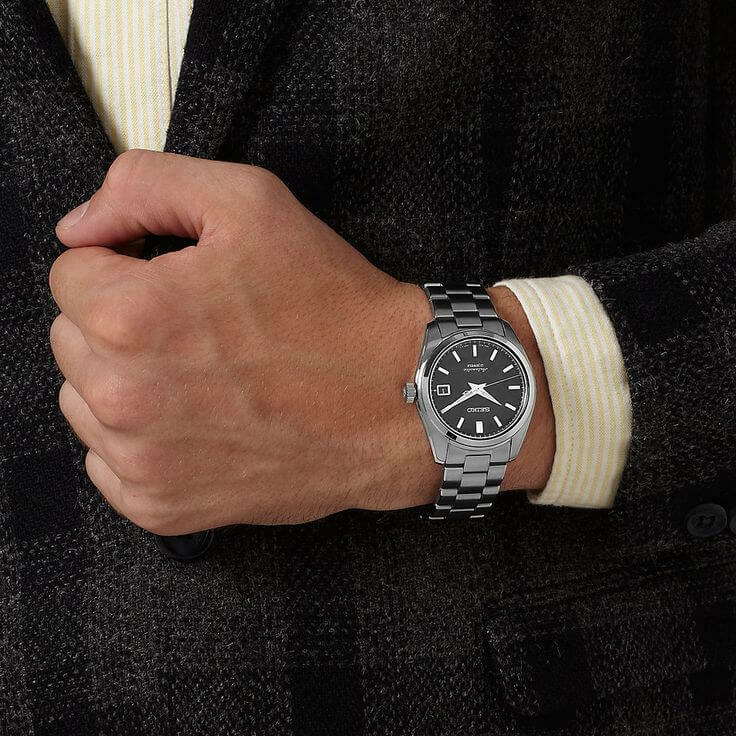 My personal rule is to only buy watches with my excess monies – not my investment money, not my emergency savings fund money, and definitely NOT on credit. I only buy a new watch when the situation permits. With that, I can still ensure my financial statement is still healthy despite my collection of watches. In terms of servicing, I think it’s okay to defer services for some watches – it’s not like it will get totally broken without any service. You can time the service of your watches over consecutive months (not at the exact same week/month) so as not to burden you financially. Lastly, you can always sell off your old watches on Ebay or other sites. It’s perfectly normal to have favorites among our watches so you can always sell the least liked watch in your collection. That way, you can still balance the total number of watches when you’re buying a new one. superb cream of information for a general public .your efforts are blessed. Thanks for the compliment buddy! 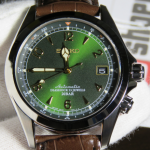 I have been looking for a good automatic watch, but wanted to check if there were any common problems to look out for. I didn’t know that you can buy watches with a power reserve indicator or that there was wide variation in the amount of wrist movement needed to power one of these watches. Thanks for your coverage of these issues. Hi Kristian. These issues are small, but can be quite major if you are not aware of them. The power reserve indicator is one of the most useful thing that any automatic watches can have. And somehow, Orient make the cheapest automatic watches with them. Check out the Orient Star Retrograde and Orient M-Force for watches with the power reserve indicator. A lot of great info here. 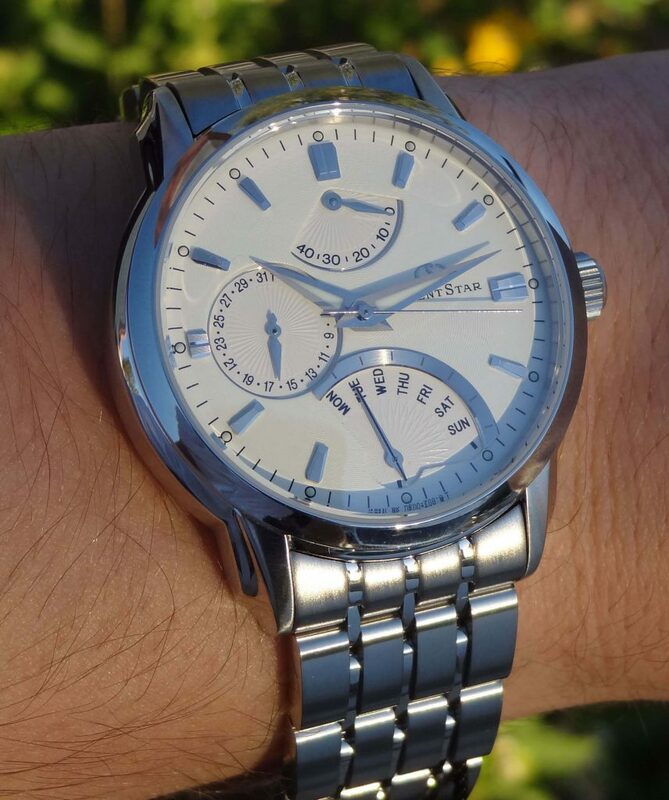 I own a silver analog watch and since it’s rather new I haven’t had many issues with it. I was surprised by the way auto watches run on kinetic energy. I know you said that temperature affects the accuracy of a watch, but do you know by how much?i would expect the amount to be negligible. Thanks for the post. Hi Juan. Thanks for visiting by! 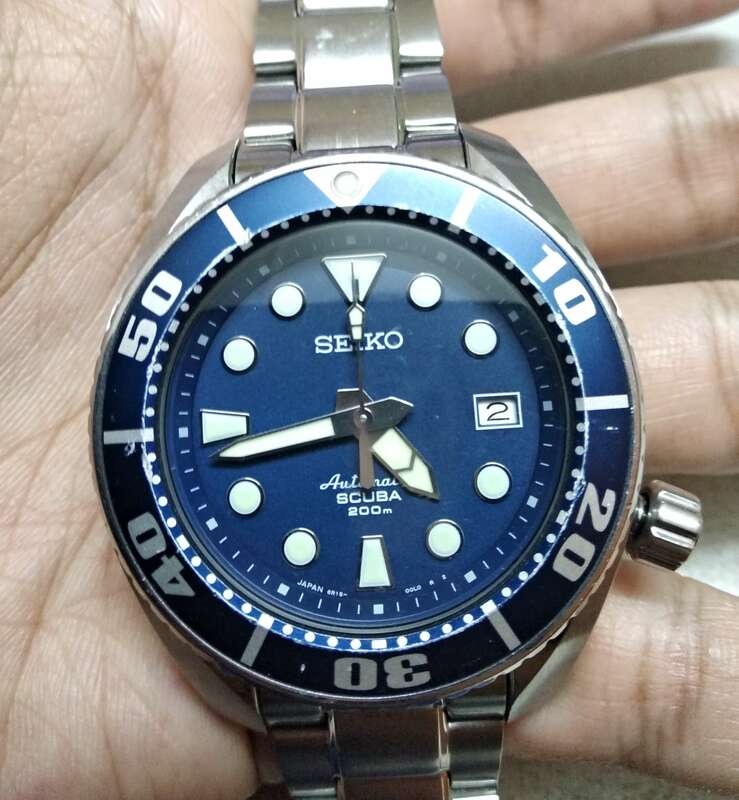 The amount of accuracy lost due to temperature will depends on the movements itself, but from my experience with my Seiko, it can be up to a few minutes. Another effect that temperature can have is reducing its power reserve. Due to these issues, it’s better to use an electronic watch (like G-Shock etc.) if you are thinking of going to cold places. As much as I love automatic watches, I have to admit this is one of its critical flaws.